It is so fun to eat something never tried before and find out that it’s delicious! I’m speaking of persimmons, a fruit I’ve seen in the markets over the years. I have always passed them by, not knowing how to use them. My local co-op was demoing this salad last week – one bite and I was instantly sold. 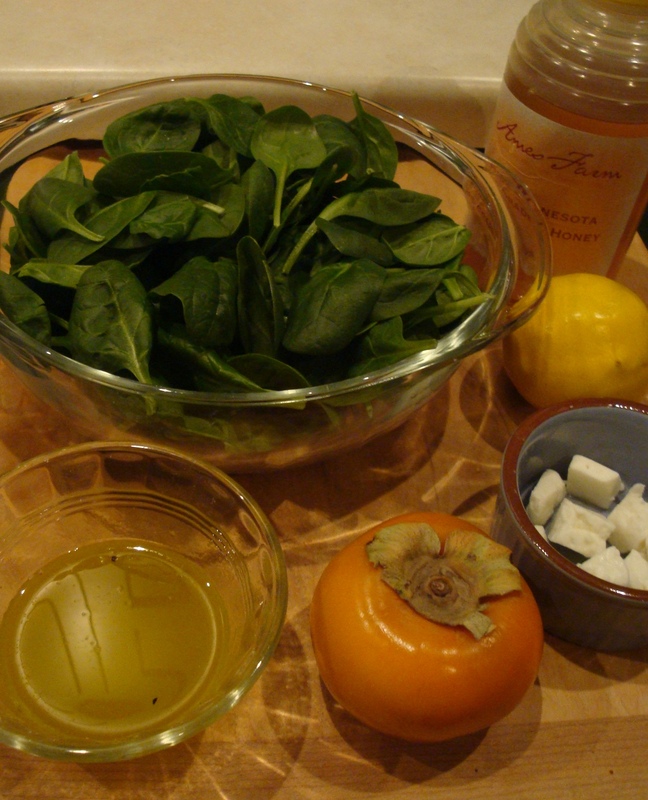 For this recipe you will use Fuyu persimmons, which are hard (sort of like an apple). I learned the other commonly sold persimmons in the U.S. are Hachiyas, which are considered ripe when fully soft and used mainly in baking/cooking. Who would have known?!! This salad is very refreshing. I recommend it with something rich or hearty – we served it alongside chili and it provided a delightful contrast. Make the dressing by whisking the olive oil, lemon juice and honey together until slightly emulsified. Toss the greens with a little of the dressing. 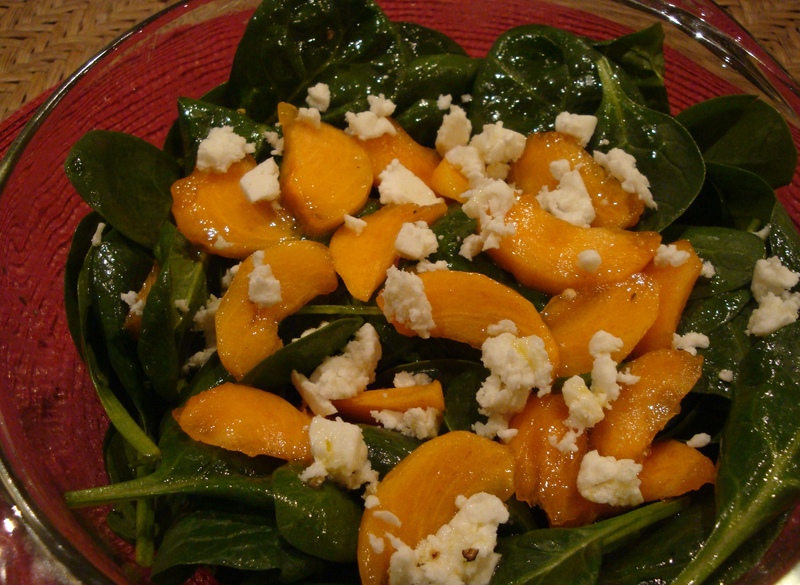 Place the sliced persimmon and proscuitto (if using) on top of the dressed greens and drizzle with more dressing. Serve on small plates or salad bowls. Top with feta crumbles and nuts (if using). 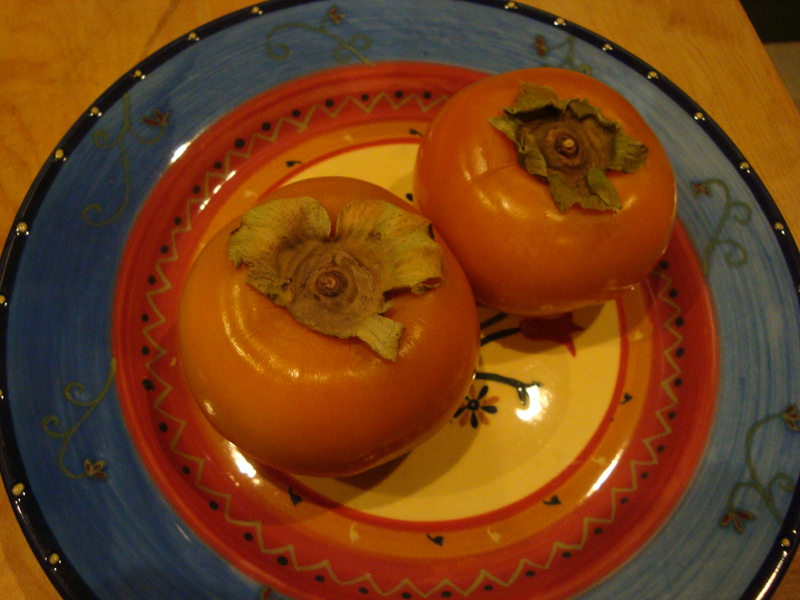 Cooks Notes: I read that Fuyu persimmons do not need to be peeled, but I found the peel tough so I recommend removing it. I have not made this with nuts or proscuitto, although I think adding these would be good, if heartier. The honey really adds to the overall integration of the flavor in this dish. 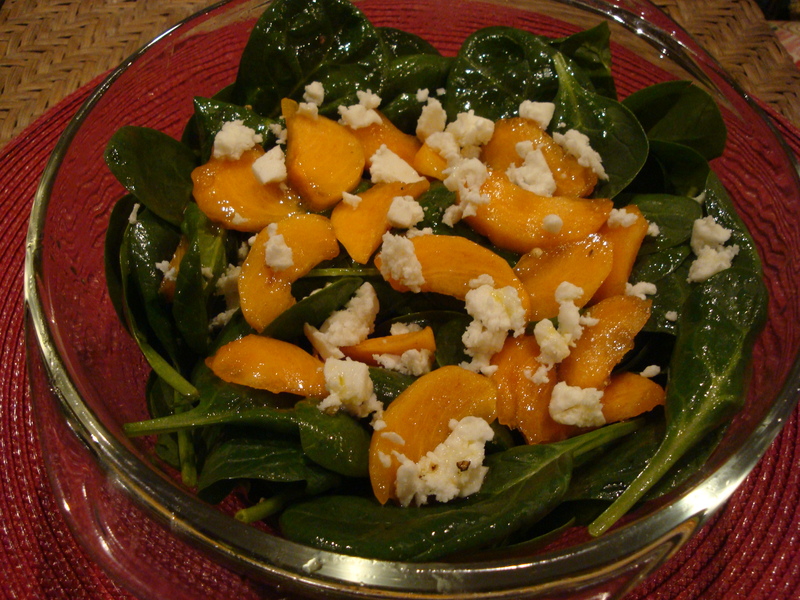 I usually prefer salads with a very light application of dressing, but I think using a little more dressing is the right approach for this yummy salad (as you can see by the shiny spinach leaves!). It looks beautiful! I love the color of the persimmons. it is pretty! And this would be easy for you to make!